We may define career as the “occupational positions a person has had over many years.” Many people look back on their careers, knowing that what they might have achieved they did achieve, and that their career goals were satisfied. Others are less fortunate and feel that, at least in their careers, their lives and their potential went unfulfilled. Employers have a big effect on employees’ careers. Some institute formal career man­agement processes, while others do little. We can define career management as a process for enabling employees to better understand and develop their career skills and interests and to use these skills and interests most effectively both within the company and after they leave the firm. Specific career management activities might include providing realis­tic career-oriented appraisals, posting open jobs, and offering formal career development activities. 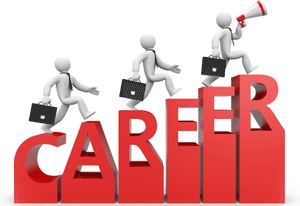 Career development is the lifelong series of activities (such as workshops) that contribute to a person’s career exploration, establishment, success, and fulfillment. Career planning is the deliberate process through which someone becomes aware of his or her personal skills, interests, knowledge, motivations, and other characteristics; acquires infor­mation about opportunities and choices; identifies career-related goals; and establishes action plans to attain specific goals. Definitions: Career Management is the combination of structured planning and the active management choice of one’s own professional career. Career management as a process for enabling employees to better understand and develop their career skills and interests, and to use these skills and interests most effectively both within the company and after they leave the firm. Staffing inventories. Effective career management will help ensure a continuous supply of professional, technical and managerial talent so that future organisational goals may be achieved. Staffing from within. Because of the many potential advantages of promotion from within, most organisations like to promote employees when positions become available. But recruitment from within requires a strong career management programme to guarantee that employees can perform effectively in their new jobs. Promoting employees before they are ready to assume their new jobs will result in unsatisfactory performance, as predicted by the Peter Principle. Solving staffing problems. Certain staffing problems may be remedied through effective career management. First, a high rate of employee turnover may be caused, at least in part, by a feeling that little opportunity exists within the organisation. Second, recruiting new employees may be easier if applicants realise that the company develops its employees and provides career opportunities. Satisfying employee needs. The current generation of employees are very different from those of generations past. Higher levels of education have raised career expectations. And many workers hold their employers responsible for providing opportunities so that those expectations may be realised. Enhanced motivation. Because progression along the career path is directly related to job performance, an employee is likely to be motivated to perform at peak levels so that career goals may be accomplished. Employment equity. Guidelines demand fair and equitable recruiting, selection and placement policies and the elimination of discriminatory practices concerning promotions and career mobility- Many affirmative action programmes contain formal provisions to enhance the career mobility of women and other formerly excluded groups, including the development of career paths and the design of formal T&D activities.